Dohn seeks individual, or corporate donors, for our freshmen and sophomore Young Men’s Academy students’ science project, Go Cars. The project cost is $478.97, including shipping. Students work in teams to build model cars that are powered by water, air and solar. Once the cars are built, there will be races, to determine which fuel power is the most effective. The students work as teams, collaborating, rather than fighting. The students work with their hands, gain a sense of accomplishment, increase self-worth. Green Cars is a rigorous science project, noting variables of time of day, temperature, and weather conditions to see which fuel source is most effective. Sponsors, if interested, will be invited to Race Day to observe the race and talk with the young men about what they learned through this project. There will be a group photo and a write-up of the results of the project on Dohn’s website. The process to donate: Please click the Donate to Academics button on our home page and indicate that your donation is for Go Cars Science Project. Or, send a donation check to Nancy Byrd, Financial Coordinator, Dohn Community High School, 608 E. McMillan Street, Cincinnati, Ohio and indicate on the memo line of the check that your donation is for Go Cars Science Project. Once the $478.07 amount has been reached, donors will be called or emailed that our goal has been reached. Donors will be given the option for their donation to be returned, or applied to other Dohn Fundraising needs. A list of current project needs will be supplied for donor review. Thank you for your serious consideration of our funding request. 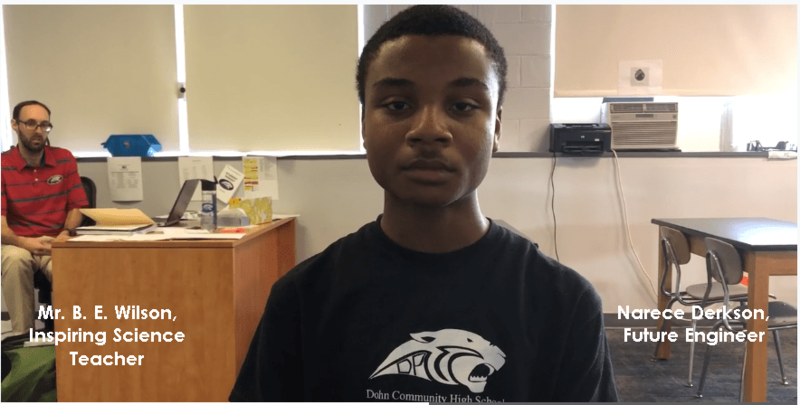 This project is in alignment with the goals of Dohn, to help our young men find positive engagement in life and share their unique contributions with society. We hope you can join us as a sponsor of this project.